David Freedman of PEAR Core Solutions joins Deidre and JG to share how disrespect in a workplace can turn into harassment. Sexual harassment & discrimination in our workplaces is at epidemic proportions and a hostile workplace environment, which includes sexual harassment, is no longer being shoved under the proverbial corporate carpet. 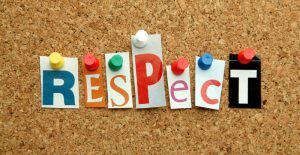 David Freedman, Vice President of Human Capital Management at PEAR Core Solutions, shares his “wiZdoms” on what we all need to know as employees and employers about being respectful and avoiding a harassment claim. Deidre also shares with us a very personal story in this episode. You’ll really want to hear this one! If someone makes you uncomfortable, address it with the person. Do it respectfully, do it privately, and don’t do it when you’re angry. Know how to communicate. Use the manners your parents (hopefully) taught you. Listen more than you speak. Take a breath before you say something in a disrespectful tone. Recognize what disrespect is not. A tough boss with high expectations or one that asks you to do more than what is in your job description is not harassment. LISTENERS: Do you work in a disrespectful environment? Have you ever experienced or witnessed harassment? Share your experiences and “wiZdoms” with us! Either leave us a voicemail at 646-653-9278 or send us an email. We may talk about it - or we may even talk with YOU - on the air!